Finahub Official Blog: Why your business should be Social Network Ready? These days social networking is the buzz word among the Netizen's. Now social networking has grown to an extent where people spent most of their online time in social networks rather than on any other sites. Here are 5 important points about why business owners should consider social networking in a serious way. If Facebook were a country, it will be worlds 3rd largest one. World is there waiting there for you to reach in each network. 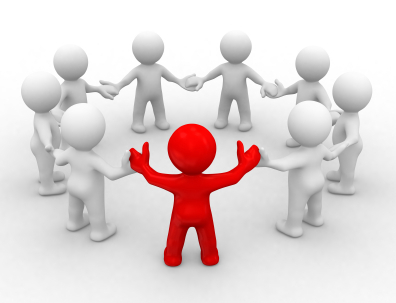 So if your business needs people contacts (most will), you should be using social networking. Traditional marketing like news paper advt, TV advt, exhibitions etc burns lots of money. We all have become so used to them that we now know, how to effectively filter them out. The only way to break this barrier is to get up close and personal. Social networking the way do it. There is no need for expensive tools or advt campaigns, business owners themselves can start using it. The global playing field is now even. People from various country's, cultures, religion etc are coming together in one place. By using social networking as business tool your voice will be heard world wide. Hiring the best and suitable talent is one of the toughest parts of running a business. Through social network, one can easily track the best people suitable for you and attract them to your business. The important thing is, they will be already 'social network' ready from day one. Business can use social network as the very first level of public relations. People talk about their needs, the issues they face, the brands they love etc on networking sites. You can easily track discussions involving your company or brand and can join in them. This helps to build a strong relationship with people and helps to grow your brand or company. These are the main points came across our mind. We know there will be many left unmentioned here. Please share with us in the comments section, the points which you feel is important.